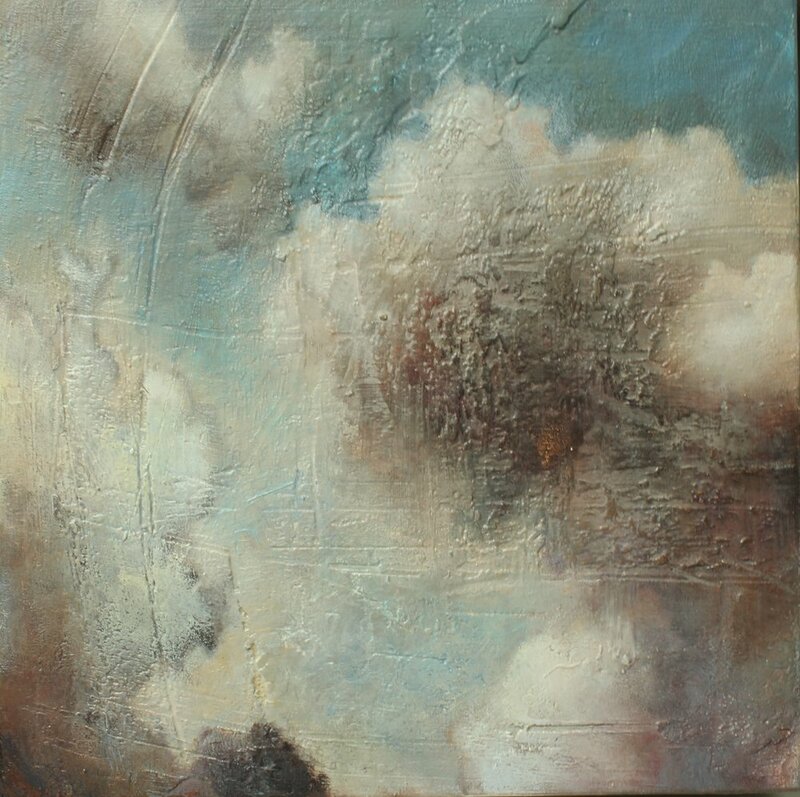 ... a bold step away from the familiar territory of my landscape and nature paintings in an attempt to break new ground in my artistic process by experimenting with a variety of materials, techniques, approaches, and just allowing the inspiration to take me where it may. I committed to few shows this past year in order to simply give myself the freedom to create without pressure. The result has been completely liberating and exciting and has ultimately culminated in a body of work I call my "Transformations" series. I look forward to my very first exhibition dedicated solely to this new work, at the Riverdale Artwalk, in Toronto, June 2-3. Below is a sampling of what I have created this past year. 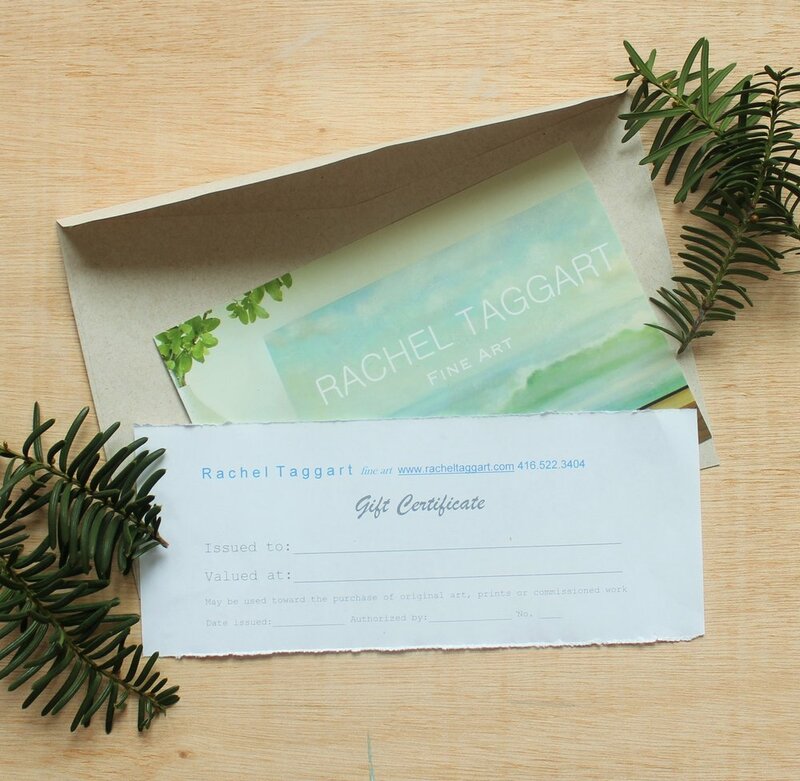 I would love to share this new work with you! I will be at the Riverdale Artwalk, June 2-3, an outdoor art fair featuring more than 100 talented artists. I am delighted and very honoured to be commissioned by the United Nations to design and produce certificates as part of the Ozone Awards, which will be presented to 197 countries on the occasion of the 30th Anniversary of the Montreal Protocol, November 2017. The Montreal Protocol is an international treaty that was designed to protect the ozone layer by phasing out substances that are responsible for ozone depletion. My certificates will acknowledge those countries whose commitments and contributions to phasing out these substances, made the Montreal Protocol a global success, ultimately helping to restore the Earth's ozone layer. I have created an original piece of art for this project, that I will incorporate into my certificate design. 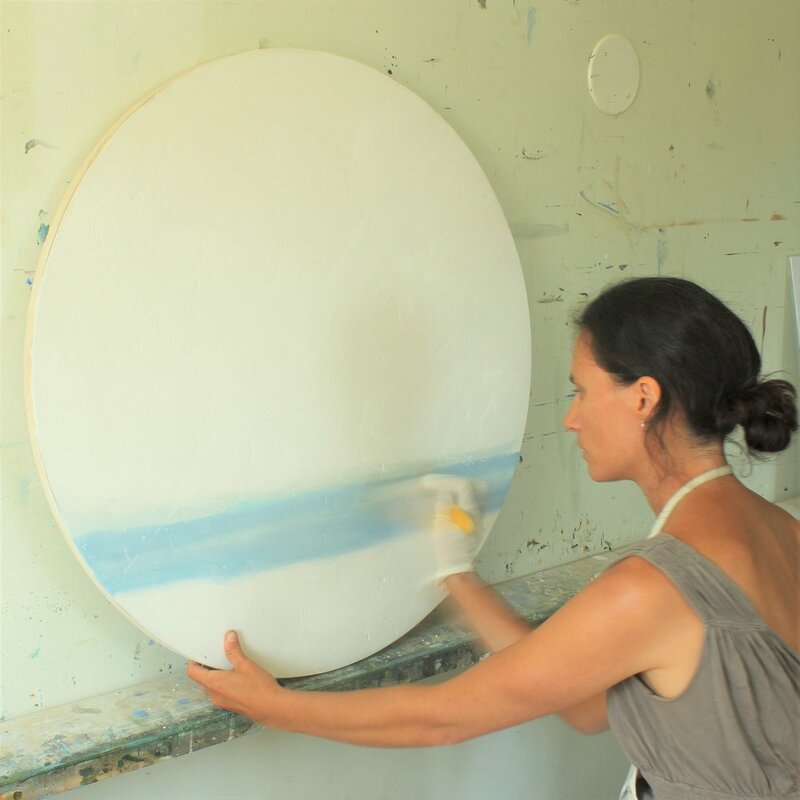 I chose a round format for the painting, to represent the global nature of the Montreal Protocol; the international commitment to meet the vision of reducing ozone depleting substances, and the world-wide impact this commitment has had on our environment and the Earth. 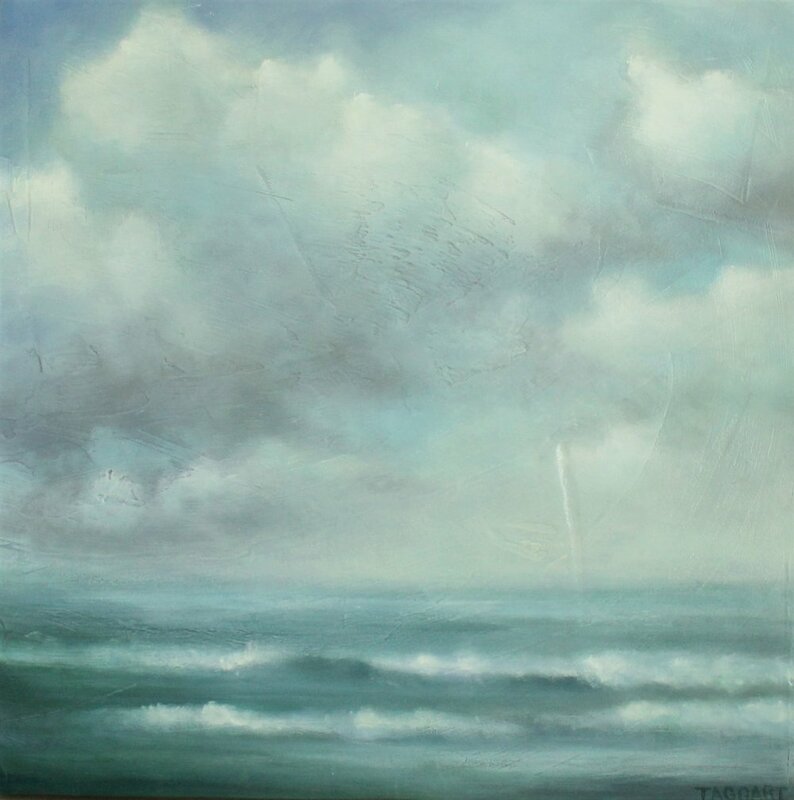 My final painting aims to convey a sense of optimism through a universal scene of nature: Sky, land, water - elements that we can all relate to and appreciate no matter our location on Earth. My next step is to incorporate this painting into a certificate design that will be awarded to 197 different countries. 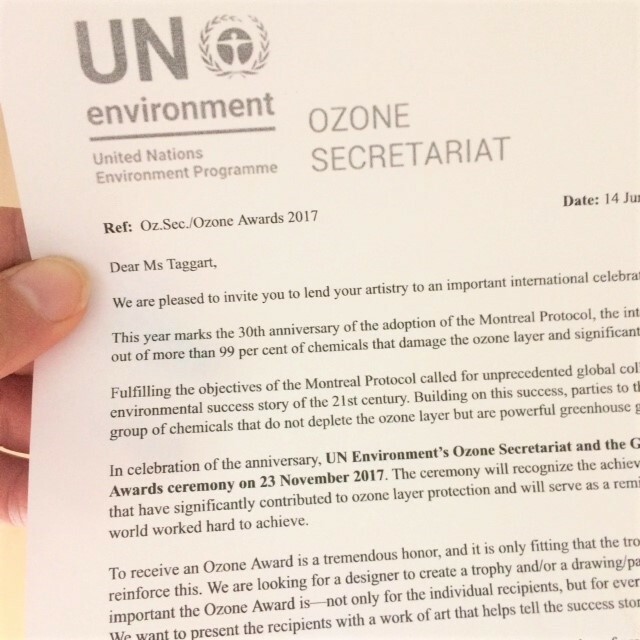 My final certificate design will be revealed following the Ozone Awards ceremony at the 30th Anniversary of the Montreal Protocol, in November 2017. The painting will find its permanent home in the Nairobi United Nations Headquarters. 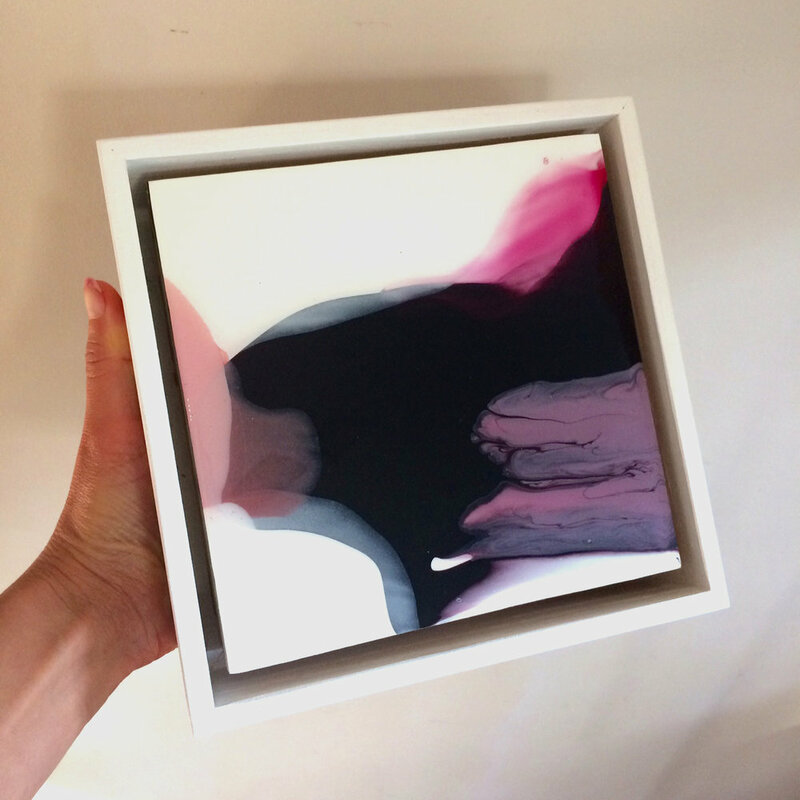 Last month I had the pleasure of visiting a client's home with a selection of my paintings to help her choose the right pieces for her space. This opportunity is often like a dream-come-true for me. I am so inspired by blank walls, and to envision a custom painting that will harmonize well in it's surrounding environment, or to play and experiment with existing paintings and see how each one informs the "vibe" of the space, or in the case of multiple paintings - how they play off of and complement each other - is something that I find so rewarding. 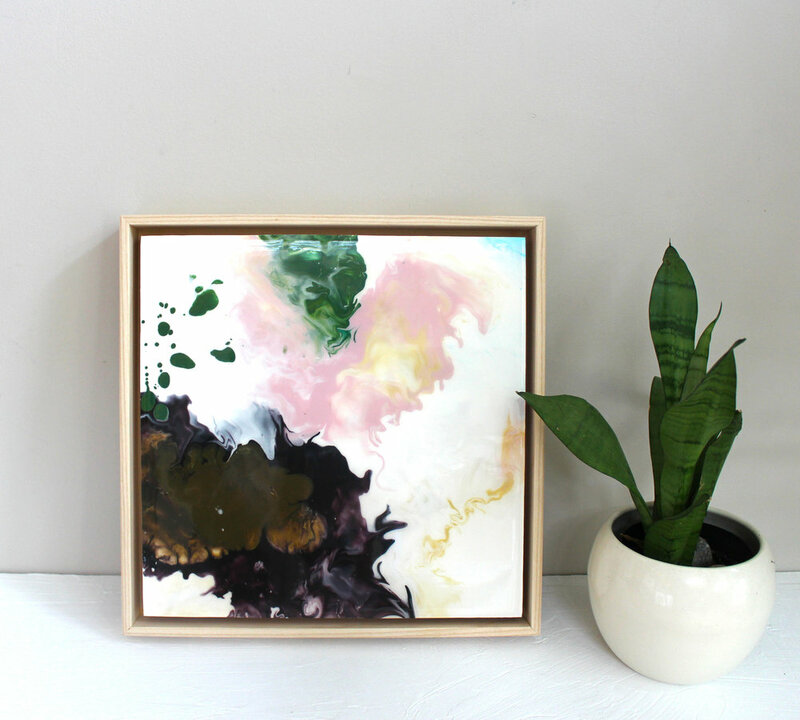 While I am a firm believer in choosing the art that you love, regardless of space and decor, the right painting, in the right place can really inform a room and create such impact. Translating what you see on a gallery wall or at an art fair to a wall in your home is not always easy. 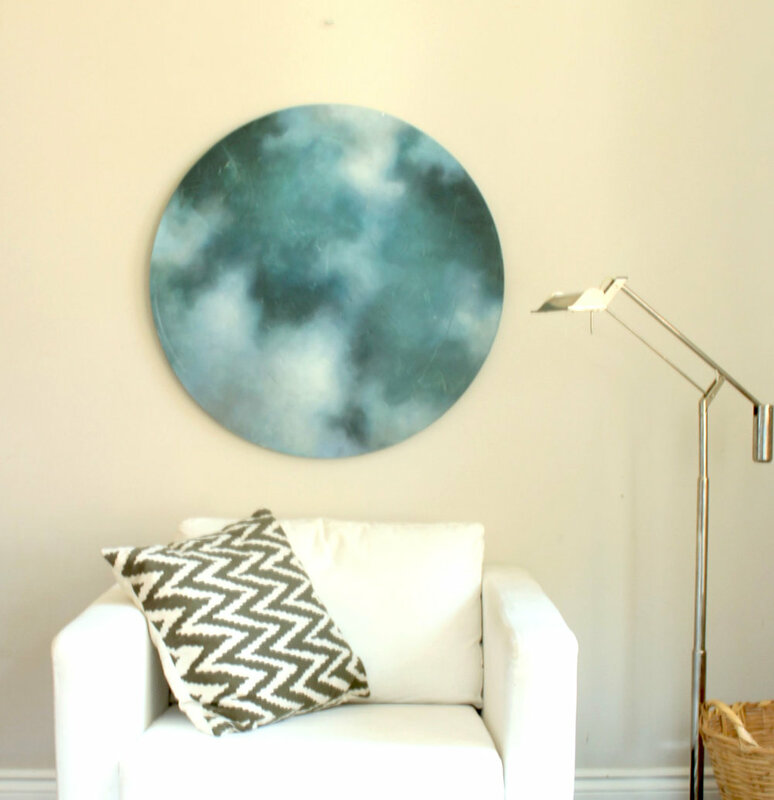 Visualizing can be tricky, and sometimes actually seeing a painting on your wall is the best way to make a decision. 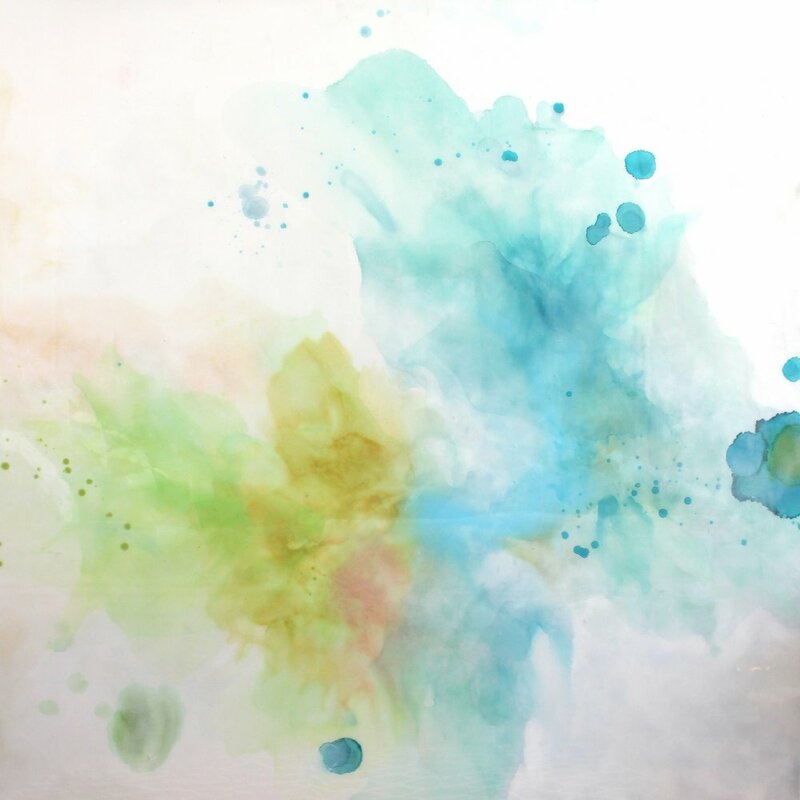 Ultimately, I want my clients to feel confident about their purchase, so I am happy to offer this service and to make the experience of acquiring original art work as memorable and enjoyable as possible. When planning a home visit, preparation is always helpful. My client had done her homework beforehand, mapping out possible dimensions on her wall. This is something I like to suggest, especially when considering possible sizes of commissioned work, as it really helps with visualizing. Just a few strips of green painter's tape will do it. Moving the strips and "testing" different sizes and proportions is easy this way. My client had visited me at the One of a Kind Show and been through all the images on my website, so she already knew what she liked. It was almost uncanny how well the paintings she selected for her living room worked in the space. 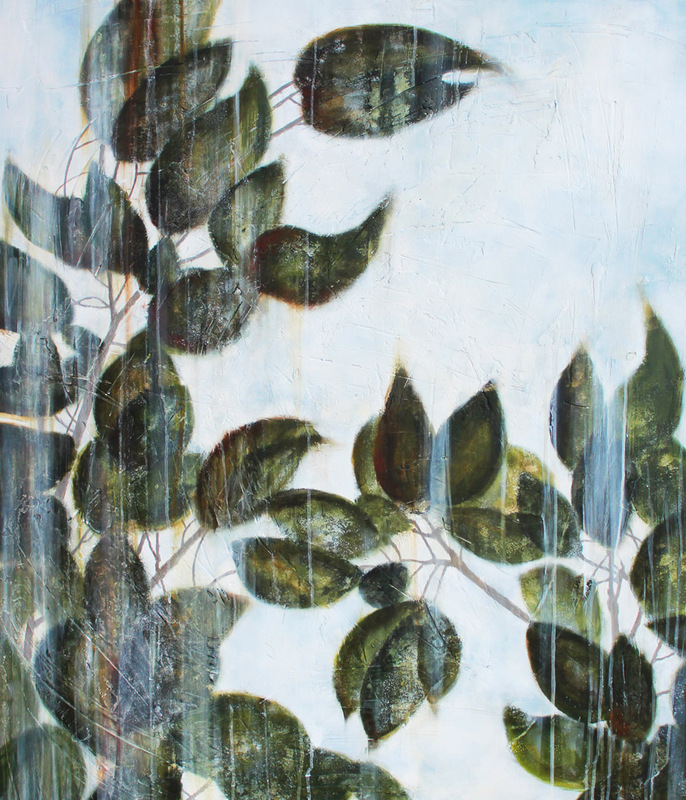 She had loved the Foliage, 48''x40'', painting from the start but was uncertain whether it was too big. Seeing it on the wall reassured us that it was perfect, and it fit in so well with the botanical theme and greens and blues she had going on in her decor. 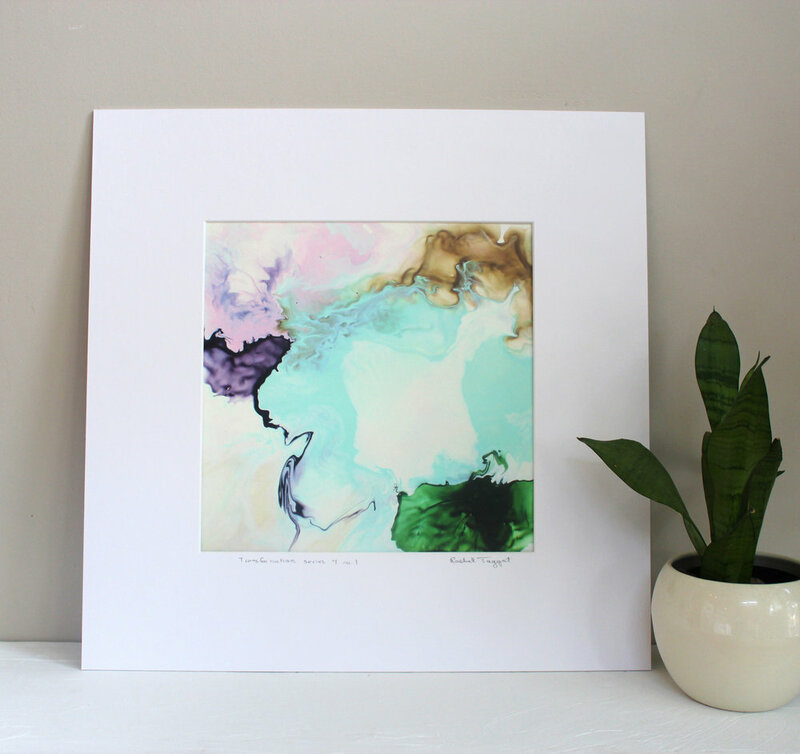 Colours in a painting's surroundings can really enhance similar tones existing in the artwork. 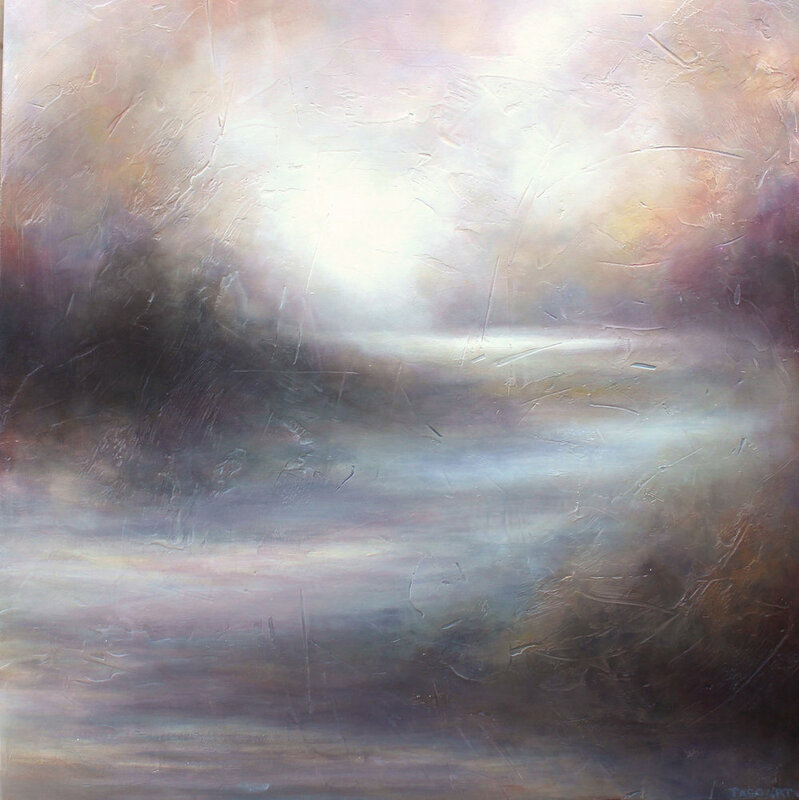 My "Meander", 36''x36'', landscape painting was also one she had pre-selected. Once again, the palette worked so well, especially with the pops of green in the decor. There is rarely one "right" painting or size/proportion of painting for a space. 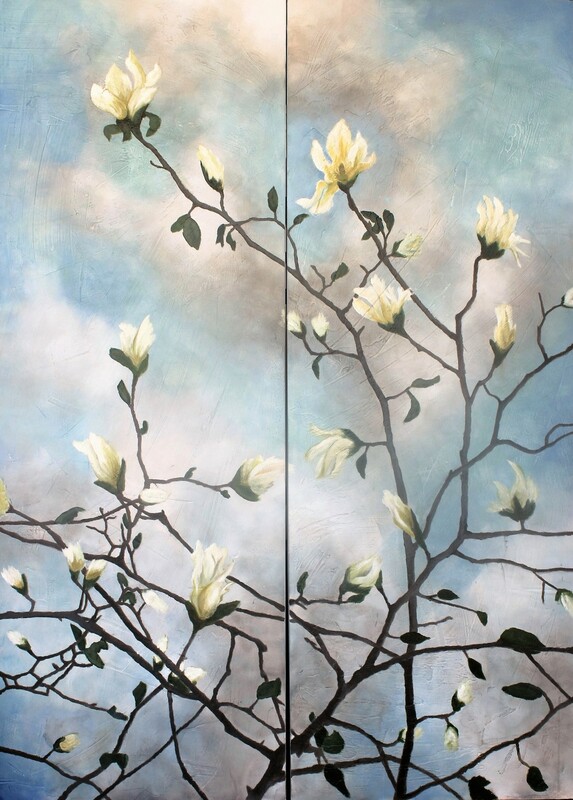 When considering commissioned work, clients often ask me to decide what size painting is "right" for their space. There are so many creative ways you can fill a wall, that often it just comes down to personal preference and budget. We tried a few horizontal / panoramic format paintings first in my client's dining room, and they all worked really well. 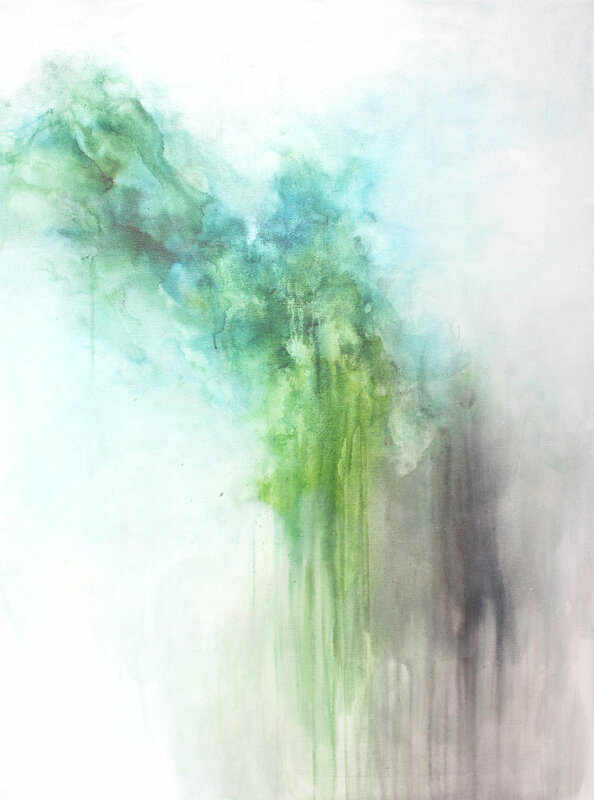 However, in the end she selected my vertical "Above and Beyond", 54''x44'', piece as she loved the composition and palette and we all agreed it provided the most impact in the room. I was so pleased with the selection and placement of the paintings in my client's home. She selected three paintings that were unique enough from each other that they stood well on their own, but at the same time, were very complimentary and flowed so nicely together. 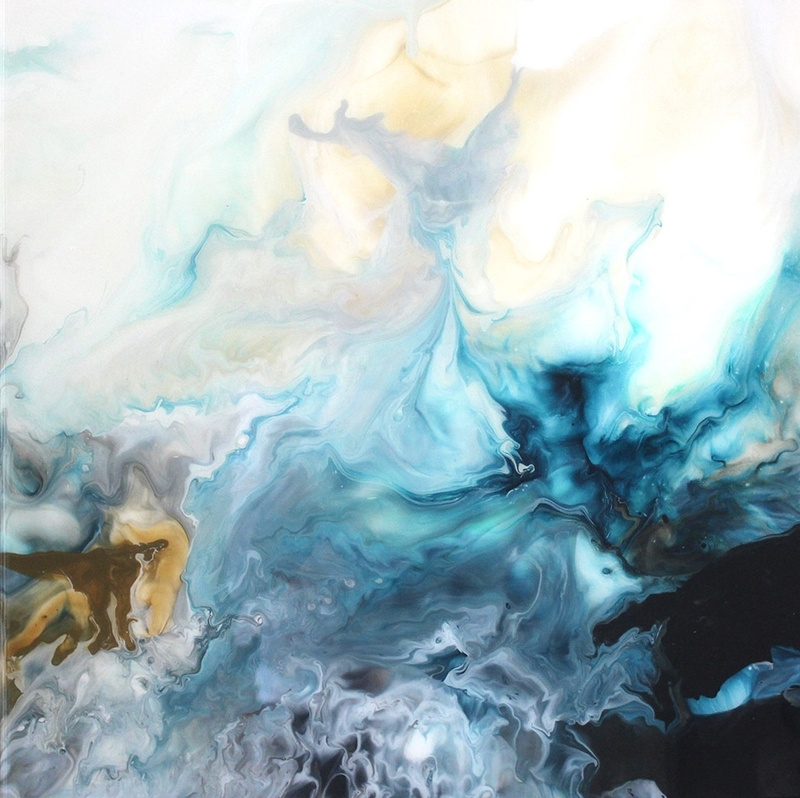 If you are considering purchasing multiple paintings for your home, need some help with your selection of artwork, or want to discuss ideas for commissioned paintings for your space, then a Home Visit might be the best approach to making that acquisition of original art. Please feel free to contact me to discuss or set up an appointment. The 2017 Spring One of a Kind Show was a success! Thank you to everyone who stopped to appreciate my paintings and say hello. Your comments mean so much to me and inspire me to continue to create. And of course many thanks to those who purchased my original paintings and prints. I truly hope you enjoy your art. It is always so rewarding to see my paintings hanging and on display, and to receive such positive feed-back from customers. Art shows give me the opportunity to absorb the diversity of what I have created, and really understand how each painting relates to the others. As all the paintings are laid out in front of me, it makes it easier to see the big picture of where I am going in relation to where I have come from. I really do feel that my perspective has been refreshed and I am inspired to carry on and create more art. It's time to get back to the studio! Please feel free to contact me at any time to view art work, or discuss a commission. I look forward to the next show. Venues and dates are yet to be determined. Please follow me on Social Media, or subscribe to my newsletter to receive notice of my upcoming Exhibitions. On sales of all large (26''x26'' and larger) original paintings. That doesn't mean I have added the tax onto the posted price. Nope, instead, it means that I will pay the tax :) I have never offered this before, and this offer will apply ONLY during the Spring 2017 One of a Kind Show! 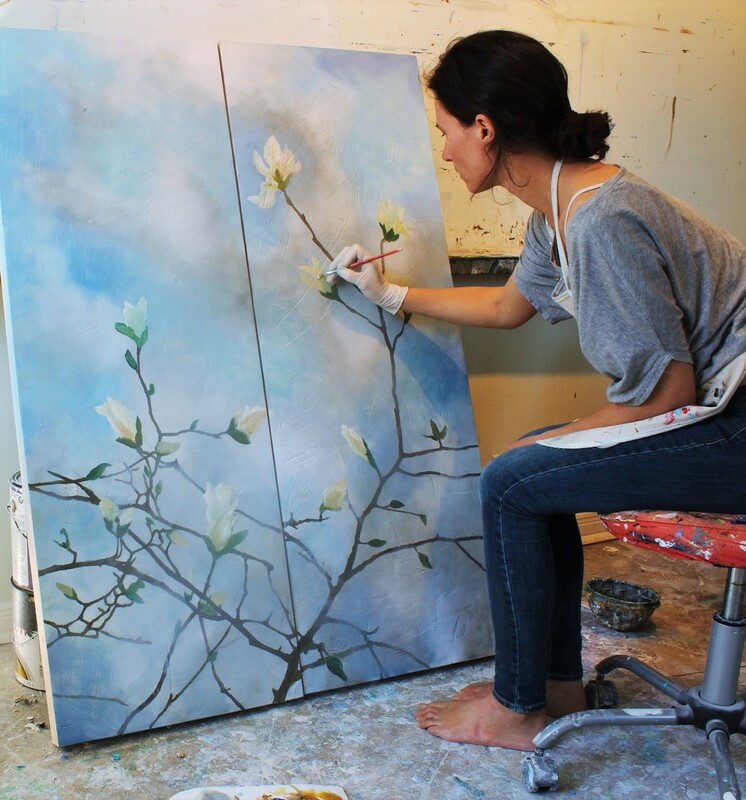 With fresh new ideas brewing and new directions unfolding, it's time to make some space for new creations in the studio. I have a select few pieces from some of my earlier series of work that I am offering at a special price. Again, I have never offered this opportunity before, so if budget has been your barrier to owning one of my original paintings, now may be a great opportunity! The show is offering a small discount on the price of admission. Click here to purchase tickets to the Spring 2017 One of a Kind Show. Please use promotion code: ETCHNPGR to receive the discount offered. Like and share this Facebook Post for your chance to win free tickets to the Spring One of a Kind Show. but the truth is they have been swirling (almost literally) around in my mind for quite some time now. When the opportunity came for me to experiment with some of my new ideas, the pieces were created with ease, as if they'd already been completed in my psyche and were finally given the chance to come to life. The past few years have been a time of change and growth for me. Transformations is a reflection on this personal evolution; on the ever-transforming movement, energy, and forces underlying change. 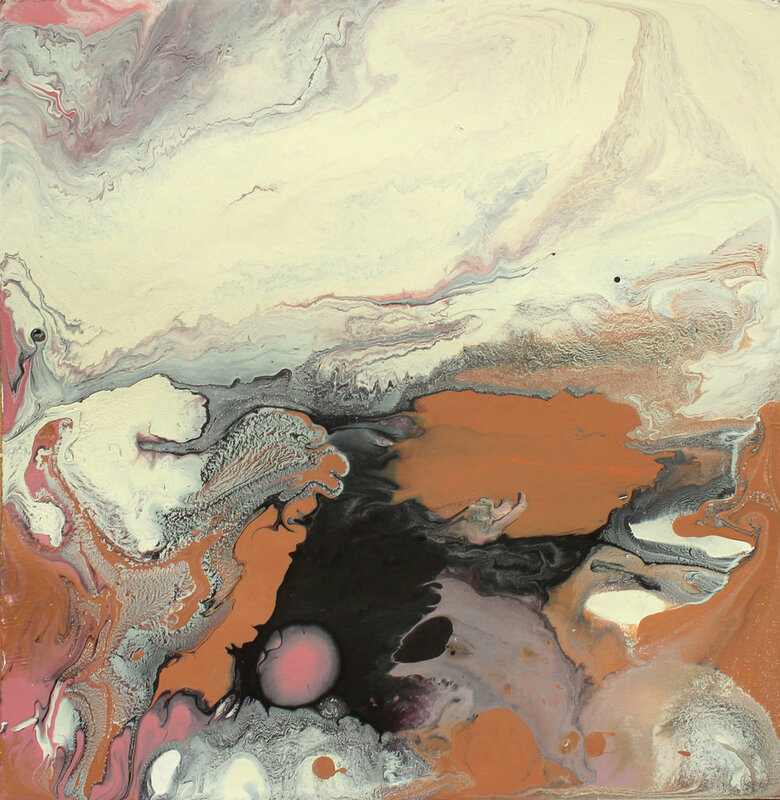 In a way these paintings have been about relinquishing control, giving in to the process, and trusting and allowing things to develop as they may. With a bit of trust, things can and often unfold beautifully. 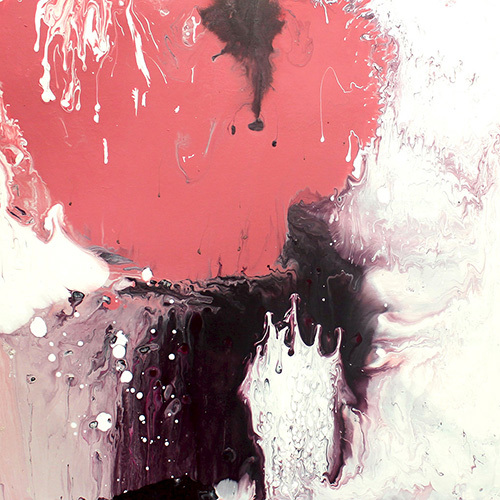 "Transformations abandons structure for fluidity; form for the unrecognizable; and control for surrender and trust in the spontaneity and unpredictability of the painting process"
By pouring washes of diluted acrylic paint mixed with fluid medium onto my working surfaces, I am creating blending, bleeding and swirling interactions of colour. While much of the resulting patterns are left up to the paint itself, by employing mindful placement of contrasting tone and use of negative space, I help to ground the momentum in the process to achieve balance. As the ideas continue to swirl, I can't wait to see where this all leads me. The challenge will be to continue to give in, trust, and just allow the beauty to unfold. The past several months I have given myself some space and time away from exhibiting, to step back a little, dabble and really just paint what I feel compelled to in the moment. I’ve been getting reacquainted with my creative barometer. For me that barometer is quite literally a little butterfly-like feeling in my belly- something that wakes up inside of me. When I am excited by an idea or a project, those wings start fluttering away. That’s how I know I should be going in that direction. Lately I’ve been feeling like those butterflies have been running a little low on fuel. So I’ve been hungrily collecting imagery, colours, sketches, and daydreams. Inspiration can come in surprising forms, when you’re open to it. This is what I call Creative Nectar. Sometimes experimenting yields nothing I’d deem worthy of an audience. In fact, at times, all it does is to reaffirm to me the direction that I was already going, refueling those butterflies that were already flocking on their set path. However, now and again, the experimentation yields a few new gems. Today my studio is littered with many paintings that have been started but not completed. I’m giving myself permission to fiddle with ideas, and either toss it or paint over it if it doesn’t work. It can be frustrating but also fun. 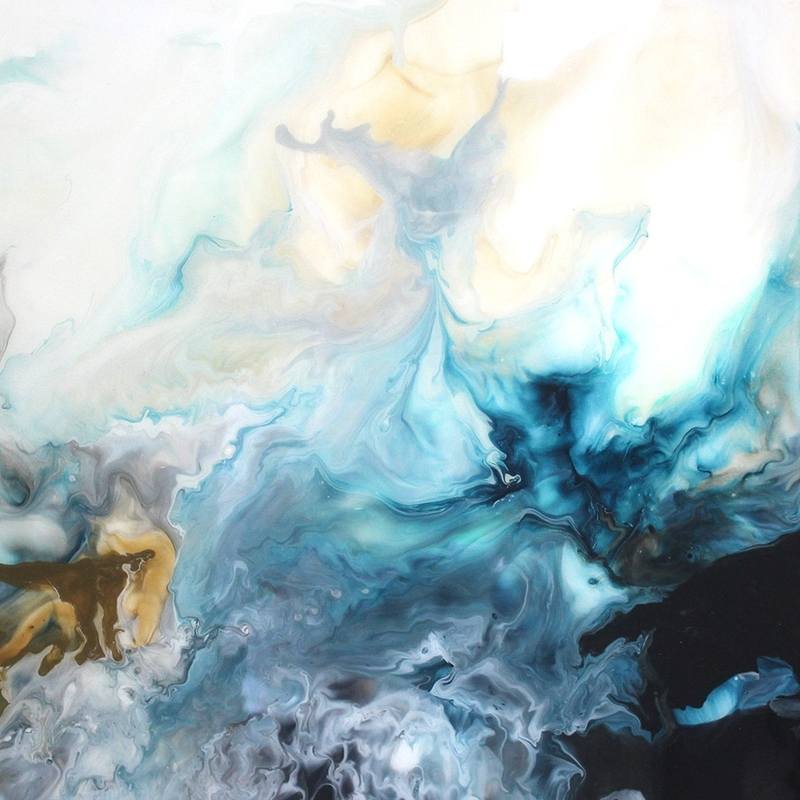 I love my sea paintings and landscapes and will continue to circle back to painting those themes and currently have a few in the works. However, I am looking for something new to add to the repertoire. Something to feed the butterflies. Magnolias always get me in the spring. Trying out some new shapes. It has been a busy couple of months in my world of art. Not only am I immersed in my preparations for the 11-day One of a Kind Show, but I have been redesigning my new website (with the help of my talented friend and graphic designer, Ana, from anacrisdesign) and postcards, as well as launching a brand new series of prints for sale on my website shop and on Etsy. Who has time to blog? Even on a good day, family, housework and sanity takes precedent over writing about myself online, so please be patient and perhaps together we will see what kind of blogging entity arises from me in the ensuing months. I have a SELECT FEW pieces from some of my earlier series of work that I am offering at a SPECIAL PRICE. Please contact me regarding pricing of these pieces or to purchase them in advance of the Spring One of a Kind Show 2017, March 29th - April 2nd.